“Tourist Go home”, “Tourist: your luxury trip, my daily misery”, “Your tourism kills my neighborhood”. Recently, this kind of message has been seen in several travel destinations, victims of their own success and attractiveness. Indeed, for many residents living in these popular destinations, tourism has often been experienced as a nightmare rather than a dream. While many cities have been overwhelmed by mass tourism and what is now called “overtourism”, Seoul has been striving to promote alternative forms of tourism that do not put put pressure on these destinations and offer quality experiences to citizens as well as visitors. As the host city of the 7thUNWTO Global Summit on Urban Tourism, which recently took place on 16-19 September, the South Korean capital is determined to spearhead global discussions and efforts towards fair, responsible and sustainable urban tourism. As the world’s third-largest export sector, tourism is a fast growing industry which accounts for 10.4% of the global GDP through its direct, indirect and induced effects, and creates 1 in 10 jobs on the planet. Due to the investment and economic benefits or opportunities it provides, tourism has become a priority sector for many countries, especially developing nations where it represents a major source of revenue. The positive contribution of tourism has been acknowledged by the United Nations and the international community. At the UN Conference on Sustainable Development (Rio+20) in 2012, global leaders recognized that “well-designed and well-managed tourism” can contribute to the three dimensions of sustainable development, to job creation and to trade. Tourism is clearly mentioned in the 2030 Sustainable Development Agenda, three of the 17 Sustainable Development Goals adopted in 2015 by the international community, and the UN General Assembly also designated 2017 as the International Year of Sustainable Tourism for Development. As a human activity, tourism is a heavy consumer of often-scarce local resources. Occasionally dubbed “an industry without chimney”, tourism can cause environmental damages and pollution, including noise and visual pollution. Tourism activities can threaten natural and cultural heritages, and disturb the social and cultural harmony of host communities. Moreover, a recent study by the University of Sydney, Australia, has quantified the carbon footprint of the global travel and tourism industry across the supply chain, and revealed that it contributed to 8% of the global greenhouse gas (GHG) emissions, 70% of them being due to transportation. It is likely that this contribution will continue to augment in the future, and some tourism experiences and even destinations might disappear due to climate change. In addition to megatrends such as globalization, urbanization, demographic shifts, a growing middle-class and increasing affluence, technological innovations which are leading to increased convenience and awareness, the emergence of new tourist destinations, and the rapid rise of low-cost carriers have fueled the expansion of international travel at a tremendous rate. Due to the overcrowding of their environments and the subsequent nuisances and disturbances, local residents have been under constant stress, leading to a growing rejection of tourists and tourism, sometimes called tourist-phobia. This has worsened with the emergence of home-sharing platforms that have priced residents out of the property market. Even if tourism has been taking its toll on destinations for decades, the term “overtourism” is actually quite new, and became a hot topic a few years ago. In the Collins dictionary, it is defined as “the phenomenon of a popular destination or sight becoming overrun with tourists in an unsustainable way”. According to a report published in December 2017 by the World Travel & Tourism Council and McKInsey (Coping with Success, Managing Overcrowding in Tourism Destinations), overcrowding can be associated with a variety of major issues, including alienating local residents, degraded tourist experience, overloaded infrastructure, damages to local natural ecosystems, and threats to culture and heritage. At the same time, there has been a growing interest or even demand for more responsible and respectful forms of tourism that have net positive effects and impacts on the visited areas and their residents environmentally, socially, and culturally. This has been called fair travel, responsible tourism, or sustainable tourism. The concept of sustainable tourism emerged as a way to reconcile and harmonize the different and sometimes antagonistic dimensions of tourism, namely economic, social, environmental, managerial, etc. Whether it is considered a human activity or an economic sector, sustainable tourism can be understood as a particular approach towards tourism which seeks to balance the needs and experiences of all stakeholders, including the visitors, the industry, and the host communities, while also optimizing their immediate and future effects on the local economies, societies, cultures, and environments. Sustainable tourism can be defined either as a strategic vision (or visionary strategy), a business model, or a lifestyle. About 50% of the world population lives in urban environments, and research indicates that city tourism has increased by approximately 50% worldwide in the last decade. Some key destinations, particularly European cities such as Amsterdam, Netherlands, Barcelona, Spain, and Venice, Italy – to name just a few – have been exploring various ways to preserve their citizens’ quality of life without compromising on the development, promotion and competitiveness of tourism. Seoul – the seventh largest city in the world with almost 10 million inhabitants, and the third largest metropolis with over 25.6 million people – has been promoted as a top urban destination for leisure and business over the past decades, resulting in a significant growth of international arrivals. In 2016, a total 13.45 million foreign visitors were recorded by the Seoul Metropolitan Government. The goal of reaching 20 million arrivals by 2018 was set, boosted by the Winter Olympics in PyeongChang. In comparison, the city of Venice is receiving 30 million visitors a year for a resident population of around 63,000. Simultaneously, various landmarks in Seoul have suffered from excessive noise, traffic congestion, and littering due to overcrowding – most notably the Ehwa and Bukchon villages in the central district of Jongno. Due to its well-preserved Korean houses known as hanok, which date back to the Joseon dynasty (1392-1897), Bukchon village has become a key tourist attraction receiving 10,000 visitors per day on average, 70% of them being foreign tourists. In the 2000s, Bukchon’s residents were encouraged to renovate their hanok through government support so that these traditional houses could be promoted as key sightseeing spots and even offer home stays. However, the locals quickly started to feel overwhelmed by the uncontrolled flows of tourists ruining the quality of their lives. According to an academic study released in 2017, the tourism boom in Bukchon contributed to a 14% decrease in the number of residents over the past five years. This situation prompted Seoul to explore sustainable strategies through developing new tourism experiences and contents, focusing on value over volume through indicators such as the level of spending per visitor, the propensity to consume, and the revisit rate, and established a series of measures to prevent and control overtourism. The first Seoul International Fair & Sustainable Tourism (SIFT) Forum was organized in 2016 to discuss topics related to sustainable tourism and community-based tourism in megacities, including the case of Bukchon. It was also an opportunity to reaffirm that “fair and sustainable tourism is one that respects residents, not just visitors, and preserves the environment of the tourist destinations”. Hosted annually by the Seoul Metropolitan Government in collaboration with UNWTO, and organized by the Seoul Tourism Organization, the SIFT Forum has gathered global and local experts and policy-makers, representatives of tourism business, and academia members, to advance strategies and practical solutions to address the needs of the local communities as well as the visitors. The Seoul International Fair & Sustainable Tourism Forum 2018 took place on 18 September, 2018, in conjunction with the 7thUNWTO Global Summit on Urban Tourism in Seoul. It started with the Session 4 of the UNWTO Global Summit titled “Fair and Inclusive Tourism: Building Cities for All”. The Session was attended by hundreds of high-level representatives from National Tourism Administrations, city authorities and related tourism stakeholders, and offered a space to share policy strategies and action plans to handle overtourism and to promote harmonious relationships between all stakeholders in the tourist experiences, including travelers, host communities, tour operators, etc. Five panelists representing the cities of Amsterdam, Barcelona, Cape Town, Venice, and Seoul, and tourism organizations provided their insights into how to adopt a local approach to economic and social development in urban destinations by integrating the local community and its components into the tourism value chain. The SIFT 2018 continued in the afternoon with a special Session on Fair & Sustainable Tourism under the theme “Overtourism to Fair tourism: Tourism for Life, Sustainable City”, with three separate group discussions: 1. Transforming tourism: Overtourism to Fair tourism; 2. 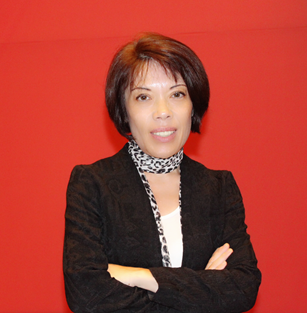 Transforming tourism: Sustainable tourism to Sustainable life, and 3. Transforming tourism: Promotion to Management. For one hour, foreign, regional and local participants discussed and proposed actions to deal with overtourism, to be implemented by the Seoul Metropolitan Government and the tourism departments of 25 local autonomous regions. Additionally, Seoul has organized a “Fair Tourism Week” from 17-30 of September, providing a variety of fair tourism experiences to tourists visiting Seoul, and opportunities to exchange with local experts, professionals, academia members, and policy-makers. Within this framework, special tours have been proposed in various neighborhoods of Seoul, in order to highlight local experiences and products. 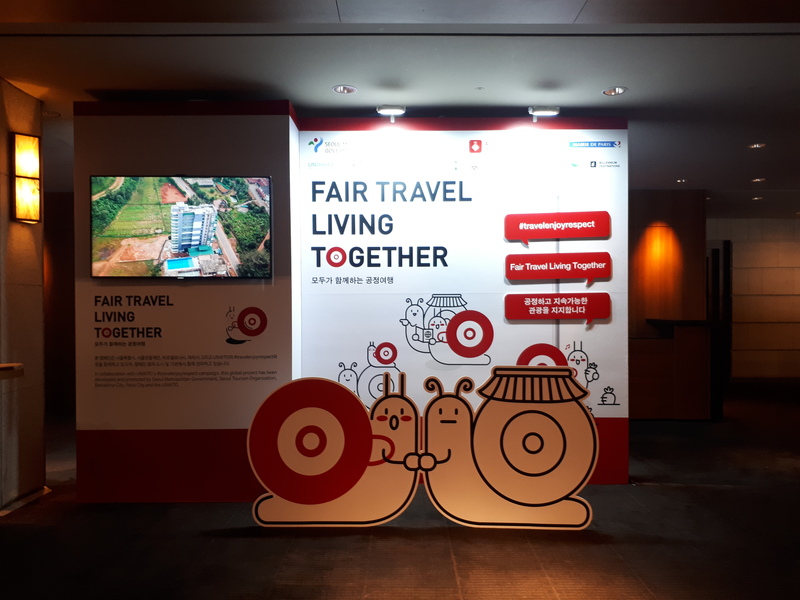 Moreover, during the 7thUNWTO Global Summit and the SIFT Forum 2018, Seoul announced the second edition of the Global Campaign “Fair Travel Living Together”, aimed at raising worldwide awareness of fair travel and sustainable tourism while promoting mutually-beneficial relationships between tourists and host communities. With a focus on urban tourism, this global campaign was launched in 2017 during the second SIFT Forum under the theme “Urban Tourism: Fair and Sustainable City Agenda” as an initiative designed and promoted by the Seoul Tourism Organization (STO), the Seoul Metropolitan Government (SMG), and Barcelona City Council in Spain, in collaboration with the World Tourism Organization’s #travelenjoyrespect campaign, within the framework of the International Year of Sustainable Tourism for Development, designated by the United Nations. Through the main message “I am a traveling citizen on a journey to a city where we live together”, travellers across the world are encouraged to enjoy happy and authentic experiences, in harmony with the environments that they visit and their local residents, by respecting and empowering them. the French cities of Paris and Marseille, the European Network for Accessible Tourism – ENAT, the Global Alternative Tourism Network, the Global Sustainable Tourism Council, the International Center for Responsible Tourism, TheJapanese Ecotourism Society, Kabani Community Tourism Service, Le Cordon Bleu University in Lima, Peru, Millennium Destinations, One Planet Sustainable Tourism Program, Peace Boat, the Positive Business Chairof Paris Nanterre University, socialtours, the Thai Community based Tourism Institute, UN-Habitat / Urban Resilience Hub, and the World Association for Hospitality and Tourism Education and Training – AMFORHT. Good planning and management have been identified as key factors of success not only for sustainable tourism development, but also for overcoming the challenges of overcrowding/overtourism. Each destination is unique and should have its own personal agenda, but all tourism stakeholders, including administrations, governments, local authorities, policy-makers and regulators, destinations managers and promoters, private businesses and associations, NGOs, academia, local communities and tourists, should continue to engage and join forces so that the sector can grow in a responsible way, towards peace, global prosperity, social inclusiveness and environmental sustainability. Next Next post: The Crackdown on the Informal Poor – A Problem or a Solution?